Some 50 companies that have expressed interest in government’s ‘One District, One Factory’ (1D1F) programme are expected to start operations before the end of 2018. 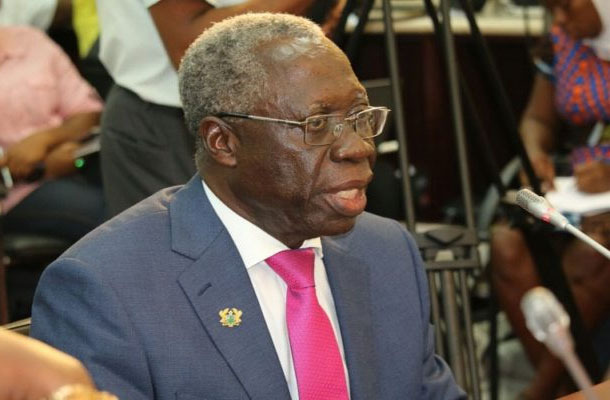 Senior Minister, Osafo Marfo says he has been reliably informed by the Trades Ministry that the companies have gone through the appraisal process and have been approved to begin production in various sectors. Giving details on the progress of the programme at the Graphic Business/Stranbic Breakfast Meeting in Accra Tuesday, the Minister said the government has not forgotten about the policy and that serious work is being done to ensure its fruition. He said the Ministry has received 781 expressions of interest out of which 632 have been reviewed and 332 are currently being processed for financial support. The Akufo-Addo-led administration is seeking to transform the economic fortunes of the country by undertaking a massive industrialisation campaign which will equip and empower communities to utilise their local resources in manufacturing products that are in high demand both locally and internationally. Already, the government has released GHS465 million for the commencement of the one-district-one-factory project. Another GHS256 million for the revamping of 100 private commercially viable and distressed companies throughout the country has also been released. A number of banks have committed to supporting the programme financially. The Senior Minister mentioned that GCB Bank has agreed to make available GHS1 billion while UBA will support with GHS 880 million. The others are, adb, GHS200 million; EXON Bank, GHS103 million; UMB, GHS440 million and Societe Generale Ghana have agreed to support with GHS25 million. “We continue to count and other banks are discussing with us,” Mr Marfo added. He, however, indicated that the banks themselves will decide on the specific programme they want to support, not the government. “The projects will have to be appraised by the banks because the 1D1F is all in the domain of the private sector, not the government. “What the government has decided is that it will absorb 50 percent of the interest rates of these 1D1F companies so that determining what is bankable will be done by the professionals. When you have been appraised, shortlisted and you have qualified, the cost of money to you will be shared between the government and yourself,” he disclosed.